AUGUST 21--The next time you forget to return a couple of library books (and ignore those annoying letters about the overdue status of said volumes), think of Heidi Dalibor. 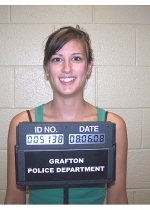 The Wisconsin woman, 20, was arrested earlier this month in connection with a pair of books overdue for several months. Dalibor, who made the mistake of ignoring a court citation issued after she failed to respond to letters and phone calls from the Grafton library, was busted August 6 for failing to return copies of Janet Fitch's best-seller "White Oleander" (a 1999 Oprah Book Club selection) and "Angels & Demons," author Dan Brown's precursor to "The Da Vinci Code." According to a police report, Dalibor was apprehended at her family's home, cuffed and stuffed in a cruiser, and booked for violating the "overdue library materials" ordinance. 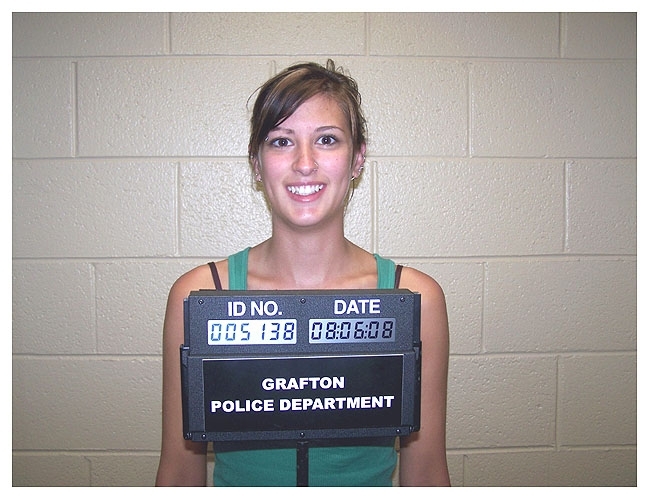 She also had to pose for her mug shot at the Grafton Police Department. Dalibor subsequently settled with the library by paying her overdue fines and reimbursing it for the cost of the two novels, which totaled around $180.